Toli Ekadashi is an extremely auspicious day for Lord Vishnu. The significance of this ceremony is that this is the time when the sun begins moving to the South Pole, and nature begins to go inward (summer’s wilting follows spring’s blossoming). 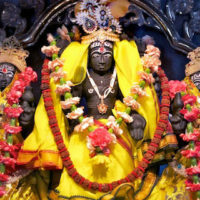 Toli Ekadashi falls in the period of new moon day to full moon day (Shukla Paksha) in the Vedic month of Ashadamaas. In the Western calendar, this occurs in June or July, near the summer solstice. 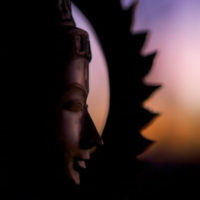 Immediately after Toli Ekadashi, Lord Vishnu, being a representation of nature, goes into yoganidra (deep meditation). He rests on Adisheshu (the divine serpent), which represents kundalini energy and transformation. This is a time when the energy is appropriate for going inward, and the kundalini energy can be utilized to transform ourselves. The story behind Toli Ekadashi’s auspiciousness: Mandhata was the king of Suryavamsh. He always spoke the truth, and performed many good deeds. During his reign, however, a severe drought and famine occurred, and Mandhata observed many havans and pujas to restore abundance. Unfortunately, it was ineffective, and Sage Angirasa suggested that king Mandhata observe Toli Ekadashi Vrath (fasting). King Mandhata performed Ekadashi fasting to worship Lord Vishnu and freed his people from drought and famine. 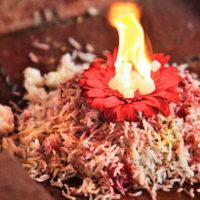 On this benefic day, Sri Somesvara will be offering a special Satyanarayana Puja that helps people overcome vices such as lust, anger, greed, attachments, and evil. 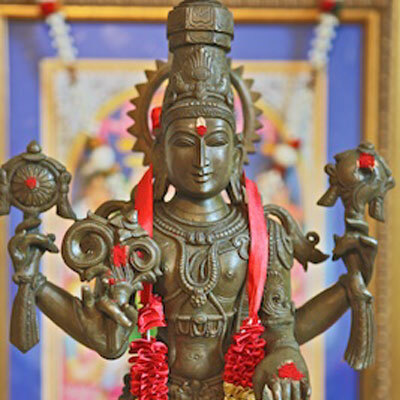 Those who worship Lord Vishnu by way of the Satyanarayana Puja will receive blessings for their material and spiritual endeavors, and be freed from the birth/death cycle.